Happy Saturday!! We hope you're all having a great weekend so far and if you're a mother, then we want to wish you an early Happy Mother's Day! Raise your hand if you are loving this athleisure trend? All hands should be raised. This trend has to be one of the best because it essentially gives us women the "okay" to wear what we're already wearing in public. I mean, I can't tell you how many times I go to yoga in the morning and then end up wearing my leggings and a athletic top all day for grocery shopping, running errands, and yes, even meeting up with friends for a drink. Besides given women (and men) even more of a reason to dress comfortably in public, this athleisure trend does elevate it a bit. Now we're starting to see t-shirt dresses, trendy tennis shoes, and more stylish tees. For the most part I live in my Zella leggings during the week, but I know if I had an athleisure dress like one of the ones pictured above I would probably wear it non-stop. What's you're favorite kind of athleisure? Do you gravitate toward the shoes? toward the casual dresses and skirts, or toward the fun tees? Let us know in the comments! Ruffles, Ruffles, and More Ruffles - all under $100! 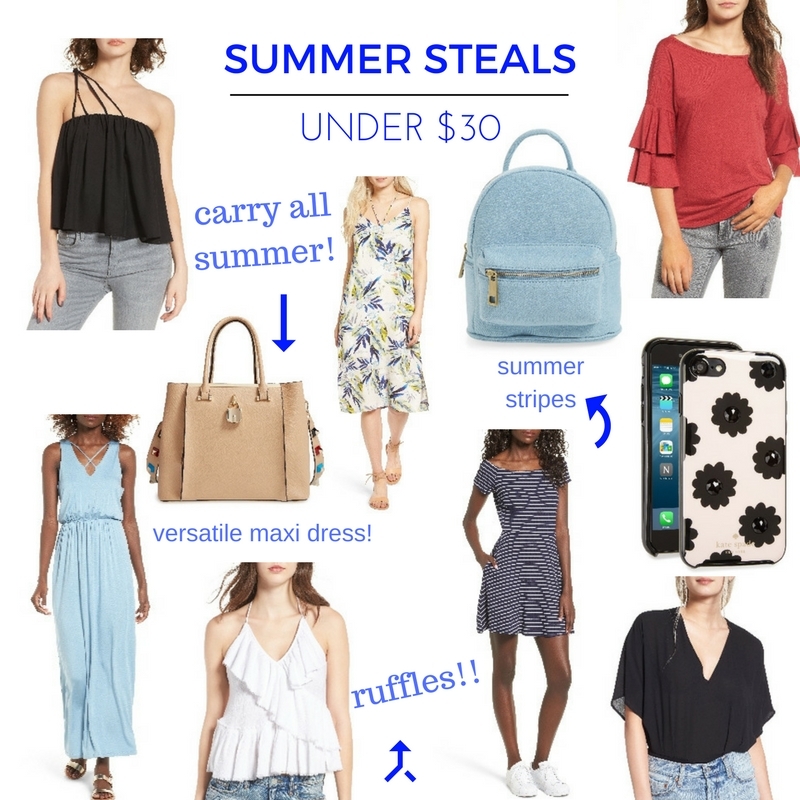 They're fun, they're flirty, and they're one of this season's biggest trends - ruffles! What I love most about this trend is that you can go as small or as big as you want. If you're feeling bold you can opt for a ruffle skirt like the one below or opt for something more subtle like this ruffle sleeve tee. Happy Tuesday!! I hope you're all having a great week so far! Today's post is a fun one because I'm sharing my ruffle wish list with you all! I love that staying on trend doesn't have to be expensive. 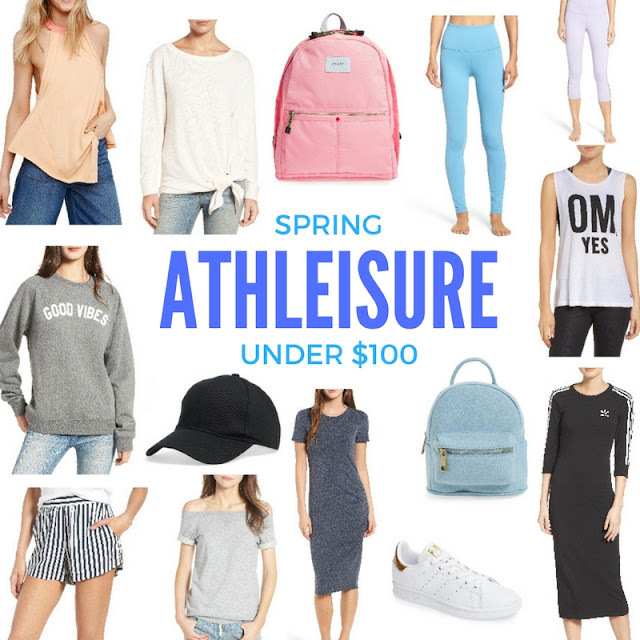 In this case, everything I've found and listed below is under $100! When I'm buying trendier pieces, I prefer to spend less on them as they may not last me for years to come. But a trendy item at a great price point? I'm sold! 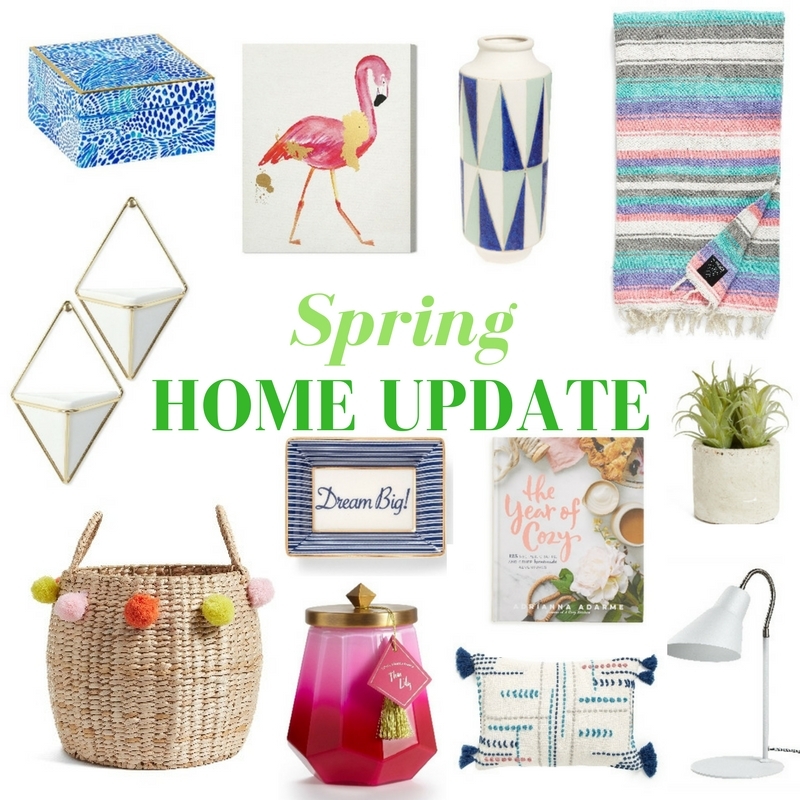 Shop my favorites below and let us know which item strikes your fancy the most! We love hearing your feedback and learning more about you! 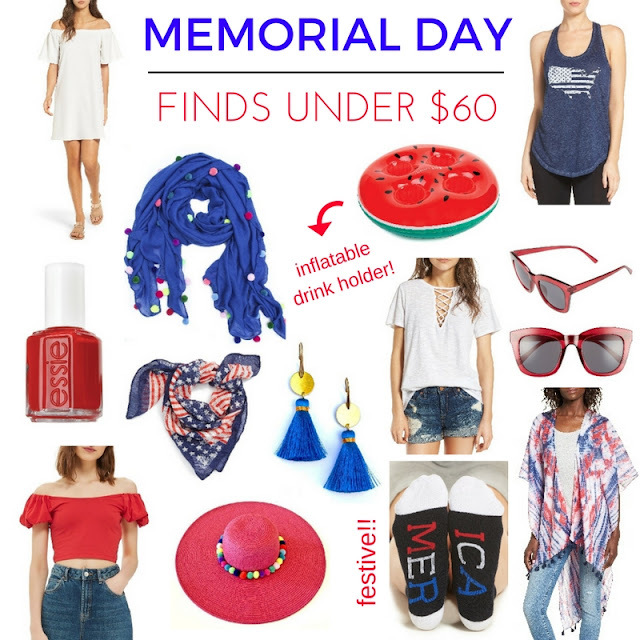 Summer Sale Items: All Under $30! Happy Thursday!! Is anyone else already ready for the weekend? I for one am excited to ring the weekend with Cinco De Mayo! I'm also excited to share with you some of the sale items I've rounded up to get you summer-ready and keep you on trend! Some of the items I've rounded up are things you can wear now and later like this sheer tunic top that can be worn with cutoff denim in Spring and Summer and then layered under a leather jacket during the Fall. Other items like this Cross Front Maxi Dress are great staples that you'll find yourself wearing them over and over again all summer long! Happy Tuesday!! It's officially May, which means all kinds of summer celebrations! 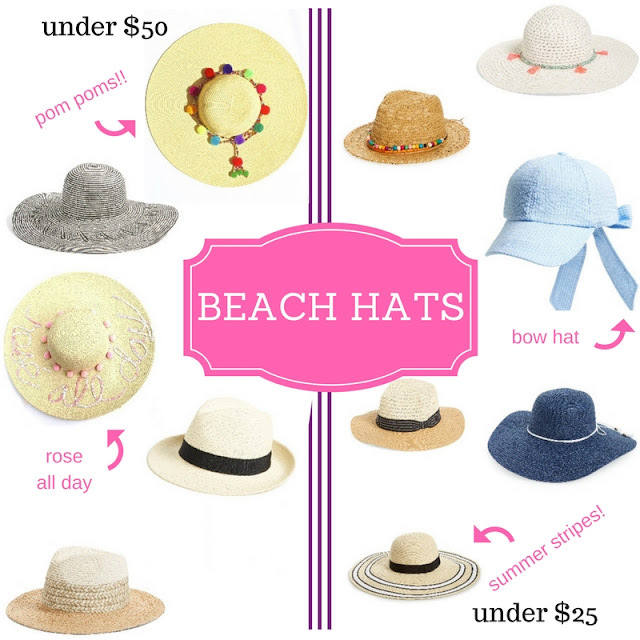 Last week we shared our favorite looks for Cinco de Mayo and today we're sharing our favorite beach hats. Of course we''re partial to our Rose All Day hat and our pom pom hats, but we have a lot of other favorites, too! Whether you want full coverage, a fedora you can wear during then day and to the beach, or simply a stylish ball cap, we've got you covered!! 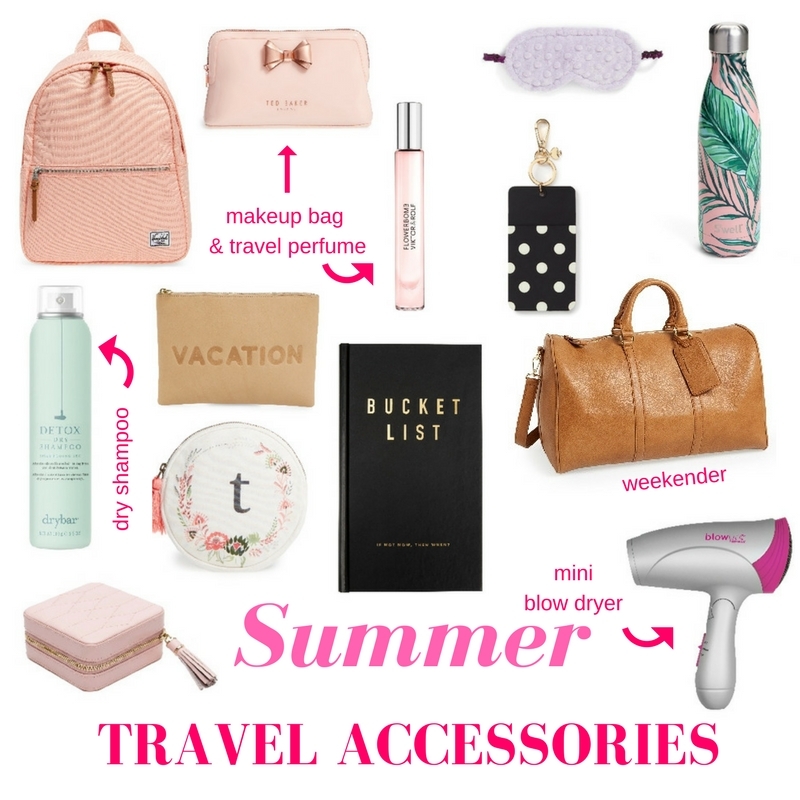 So grab your towel, a glass of rose, a new hat, and enjoy your summer!